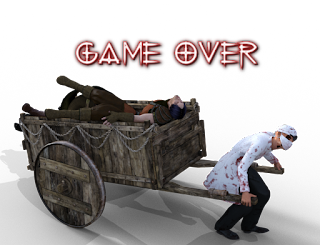 This is my first actual script for RMVXA and my first properly released (full) script. 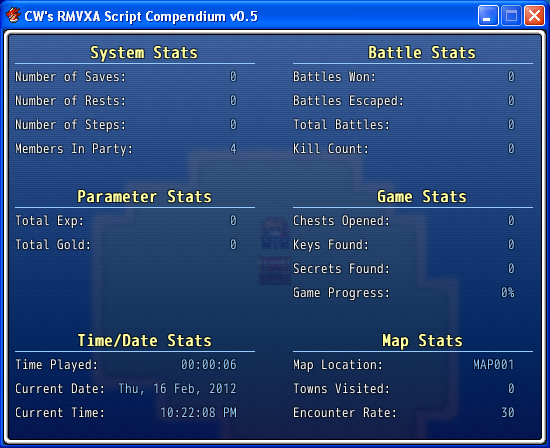 This is the same as the Extra Stats Window Script for RMVX, but with a lot of additions and improvements. To be honest, I only did this to see if I could do it. As a result there are inevitably areas for improvement. It was made doubly more difficult by the fact that, since I've been using the trial version of RMVXA, writing the scripts directly in its editor isn't possible. Instead, I used a combination of Notepad and the "RMVX workaround" to produce a working script.